The promising first year of a new esport. Overwatch was released in May this year, one of the most anticipated games in the history of competitive gaming and Blizzard’s first new franchise in 17 long years. There's still widespread debate about whether Overwatch can reach the same level of competitive success as the games that preceded it, and in this article I'll go over some of my highlights from this promising first year. Note that I've chosen to leave out moments from the closed and open beta tests, as the esports scene was in a very early stage back then, and frankly not that entertaining. Overwatch is a team game and it’s hard (if not impossible) to win against top teams without proper coordination. With that said I want to start off by sharing the best individual performance in a match I’ve ever seen: Haskal's Genji from the OGN APEX finals back in October. If you’ve followed my earlier work you know I’m a huge Haksal fan. His movement and ability to hit impossible shurikens looks so easy when he does it. It almost feels like watching a dance inspired by Tchaikovsky’s Swan Lake. 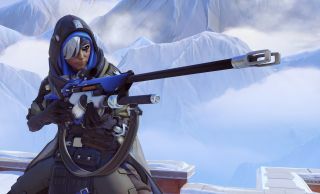 Apart from the introduction of the one hero limit, I’d say that the introduction of Pharah’s mother Ana had the biggest impact of any update that the game’s had so far. It took some time and experimenting but eventually the 'Beyblade' strategy (Nano-boosted Death Blossom) was discovered and became immensely popular during the Overwatch Open. As you can see in the clip it’s a strong combo to say the least. Blizzard did, however, remove the increased movement speed that you had previously gained from Nano Boost. Just like that, the Beyblade era came to an end. The dart that put the oncoming nightmare to sleep. That play allowed Misfits to win the fight despite being at a disadvantage in terms of their ultimate charges. At BlizzCon the much anticipated new hero Sombra was revealed. It turned out that she wasn’t as overpowered as many feared. More importantly, Blizzard announced the Overwatch League: a very ambitious project that will steer competitive Overwatch more in the direction of the American professional leagues that we see in traditional sports. Some think that’s the future of esports and others are more skeptical. Then, of course, was the Overwatch World Cup. A tournament in which players represented their respective countries. Which players got invited was decided through a fan vote. Unfortunately (from an esports perspective) a lot of non-professionals got voted in.What really made the tournament exciting, in any case, was South Korea’s success. Not only did they win the entire thing, they also didn’t lose a single map. Gong ‘Miro’ Jin Hyuk turned out to be one of the best tank players in the world. In particular, his Winston play stood out. If you haven’t seen what he managed to do to his opponents, I strongly recommend that you take a few minutes and watch. Enjoy. Team South Korea looked (and probably was) impossible to stop. With that in mind it was a lot more exciting when teams returned to Korea to resume the first season of the Overwatch Apex. Had we underestimated the Korean teams? Unfortunately many questions remain unanswered as Blizzard decided to implement a new patch in the middle of the tournament. Rogue had a hard time adapting to the new meta and went out in the quarterfinals against EnVyUs. Korean top team Lunatic-Hai got their asses handed to them by Kongdoo Uncia, also in the quarterfinals. I wish that the entire tournament could’ve been played on the same patch. That way it would’ve been a lot easier to weigh their performances against results from earlier tournaments. EnVyUs went on to win the Apex after Ronnie ‘Talespin’ DuPree decided to leave the team just before the playoffs. With few options available (due to visa issues) they decided to bring in Pongphop ‘Mickie’ Rattanasangohod as a stand-in. Weeks before he had made a name for himself representing Team Thailand at the Overwatch World Cup. That turned out to be a fantastic decision. Mickie played his heart out and was one of the most important players on the team when they secured the victory. If anyone had doubted D.Va’s viability prior to the tournament, they had no reason to hold on to that belief once the dust had settled and a D.Va main turned out to be one of the best players at the Apex. Rogue won the APAC and were really close to reaching the grand finals of the Overwatch Open. Misfits won the Overwatch Open and Dreamhack Winter but didn’t participate in the APAC nor the Apex. EnVyUs won the Apex and most recently MLG Vegas. Obviously it’s hard to tell what team should be considered the best in the world. And if the tournament results aren’t confusing enough we’ve also seen a lot of roster moves lately. The most notable is the three-way trade between Luminosity, Misfits and Rogue. The reasoning behind the moves was that it would make communication between players easier as they’re now grouped up largely based on nationality. The net result is that it's impossible to say who is on the top of the pile as 2016 draws to a close. Needless to say, 2017 will be an exciting year for Overwatch.